Liverpool FC has today announced a new global partnership with leading cyber security company NordVPN, to highlight the increasing importance of online safety and security. 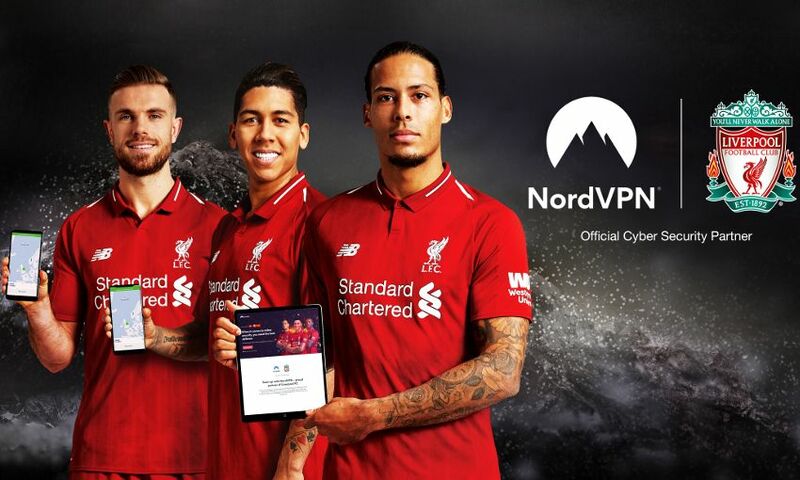 NordVPN becomes the club’s official cyber security partner and will work with LFC to provide fans with robust internet security solutions across their devices, with the partnership focusing on protecting online supporters across the world. NordVPN protects and secures the online identity and activity of users while they are accessing unsecured networks, such as public Wi-Fi in sport stadiums, hotels, cafés, airports and restaurants. It will also aim to educate supporters on the potential risks of using unsecured networks and the importance of fans encrypting their internet connection to ensure privacy and safety online. Marty P. Kamden, chief marketing officer at NordVPN, said: “Over the years, NordVPN has become a leading online security solution, with more than eight million users worldwide. “We provide a cost-effective, well thought out and fast virtual private network – protecting users anytime, anywhere, on any device.